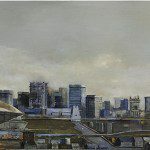 This exhibition project by Montreal painters Harlan Johnson and David Hall presents a doubled barreled look at industry and its’ place in the modern landscape. 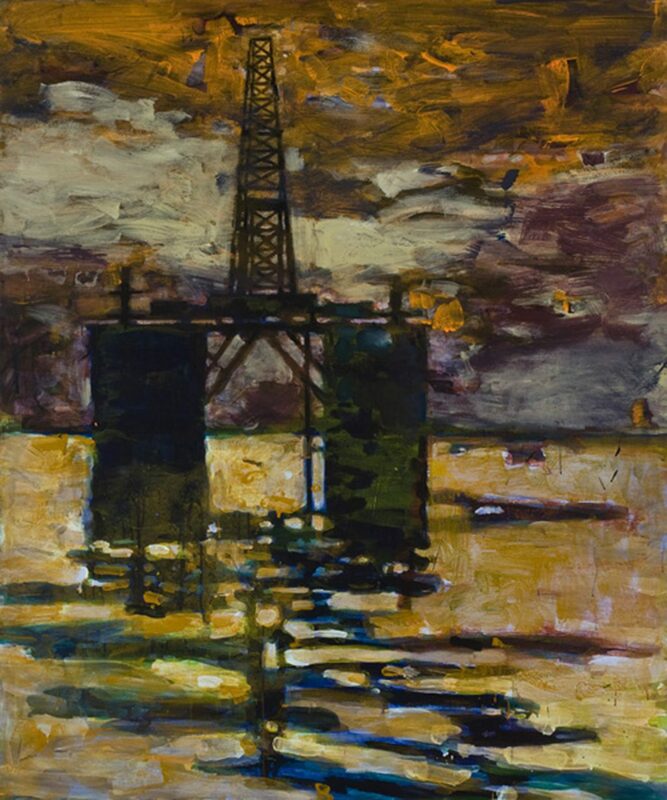 The paintings of Johnson and Hall present contrasting representations of landscape that question the present state of human society in relationship to oil and other industrial systems. 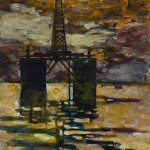 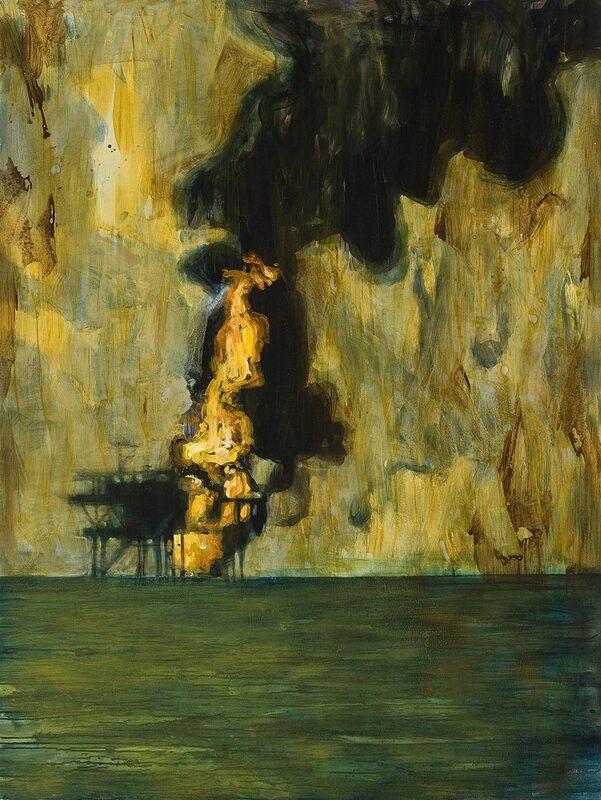 Both artists portray the incursions of oil and other technologies as they dramatically transform the landscape. 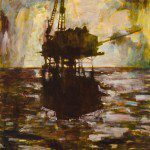 Informed by our awareness of art and social history, their works engage the spectator in a twin-edged reflection upon these two registers of representation. 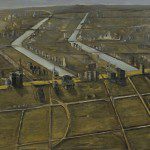 Conscious of the landscape genre and its romantic underpinnings in idealized views of nature; the works present an uneasy present view of the land, art and industry. 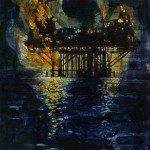 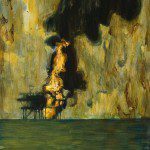 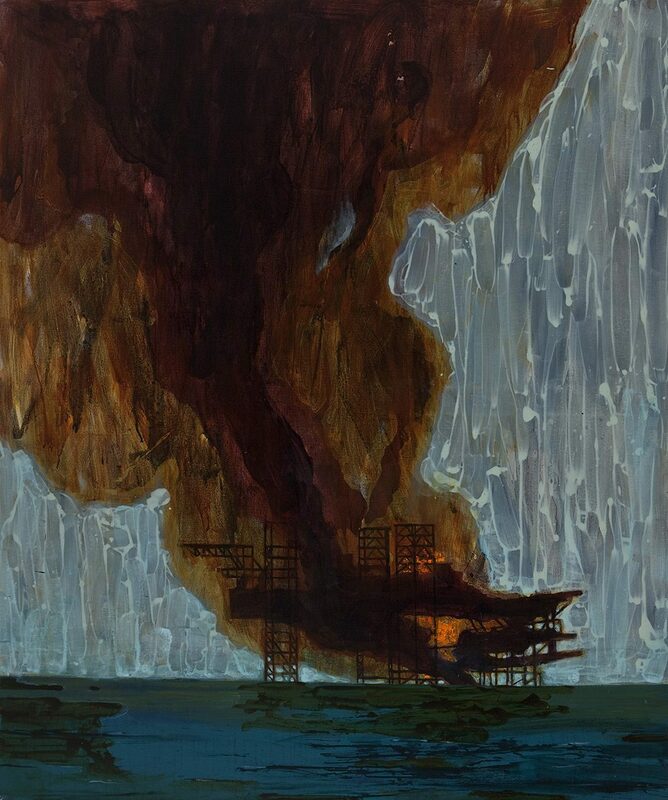 Johnson’s acrylic paintings present a fixed moment of time, depicting burning offshore oil-drilling platforms in a marine environment. 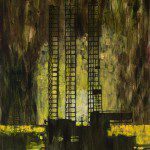 The works reflect an interest in the rich surfaces of colour field abstraction that informs his approach to representation. 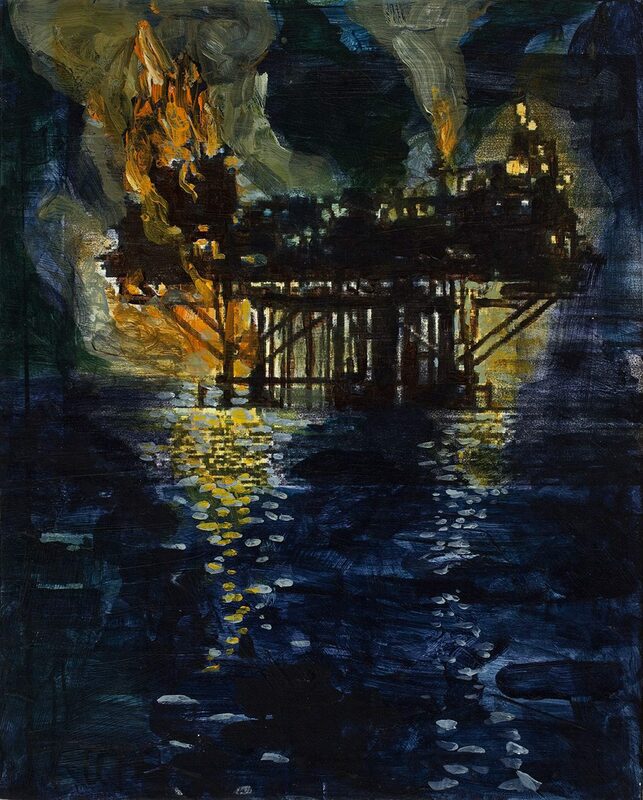 Iconic depictions of offshore conflagrations and “blow-outs” reveal the dramatic impact of technology upon nature. 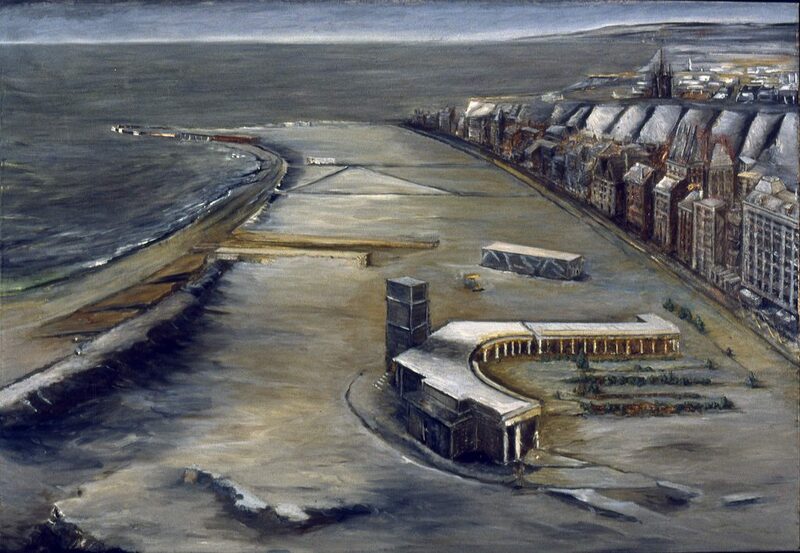 architectural periods. 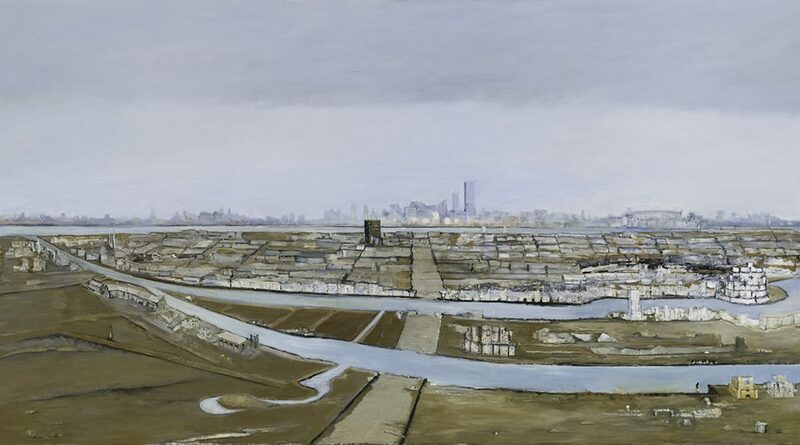 Ongoing works propose panoramic views of oil production & the modern urban infrastructure. 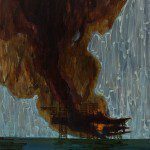 His cinematic images depict both power and impotence, symbolized through expanding and contracting organizations of heavy industry. 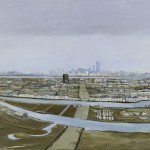 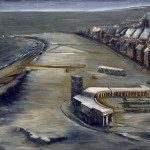 The points of view depicted in the landscapes of both artists are privileged ones, not normally accessible to the casual observer. 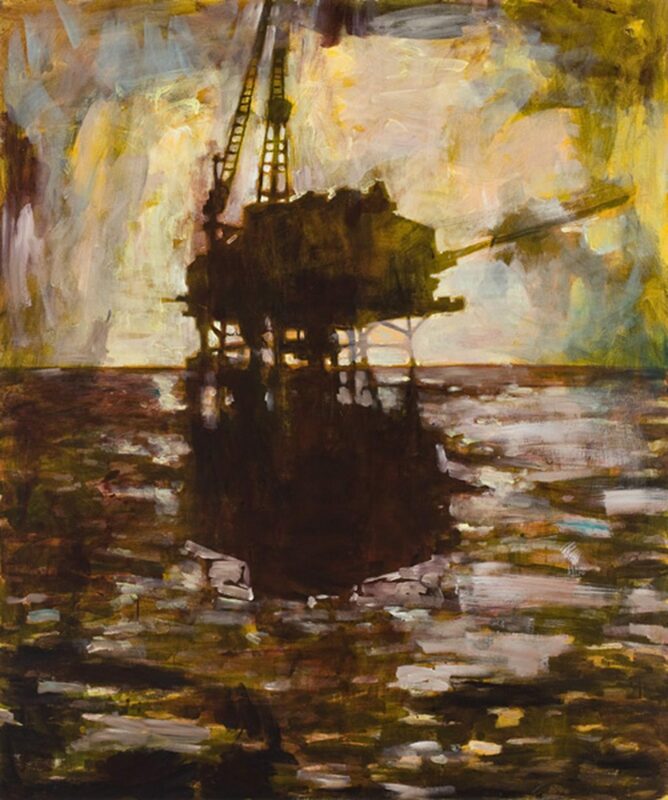 In the case of Johnson the observer is offshore, at sea level, in the presence of looming industrial structures in a state of crisis. 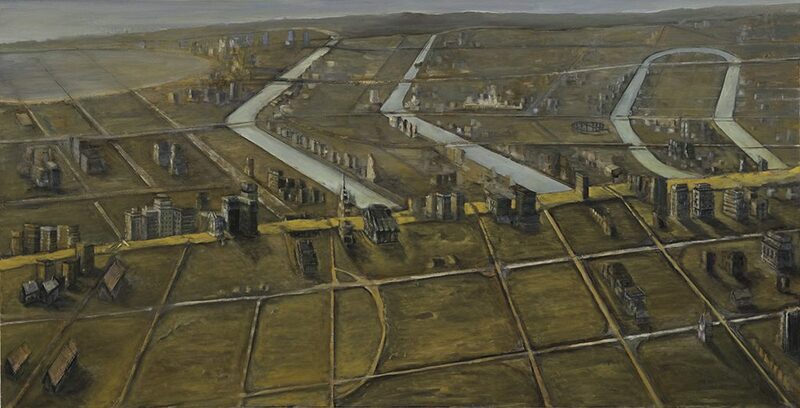 With Hall’s work the viewer is elevated, proposing a vantage point lifted far above the ordinary. 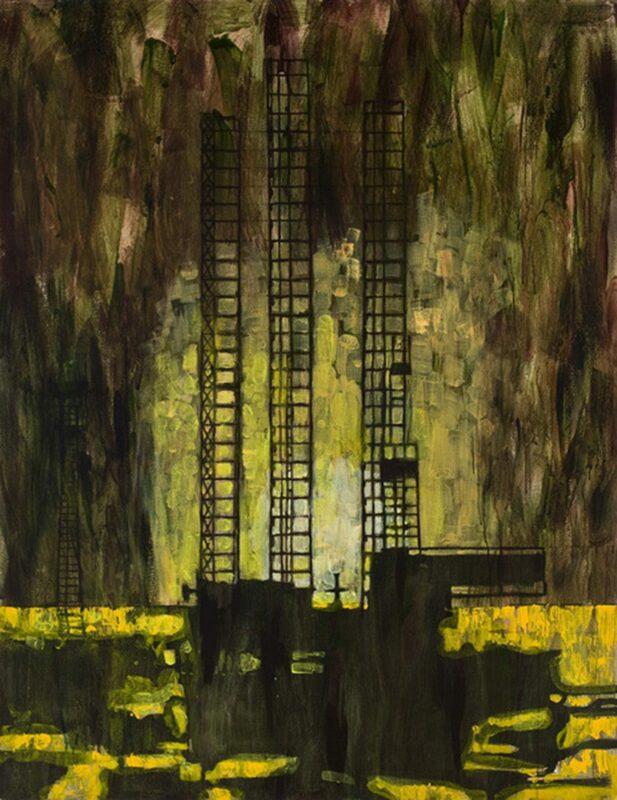 Through these contrasting points of view, as well as the sumptuous presence of painted surfaces the artists engage the viewer’s gaze while enlisting them as witnesses to the impact of industry and changing ideals of progress.